For my son’s recent bar mitzvah, there was the task of delivering the Dvar Torah speech during the ceremony. Although it can be given by anyone, it often is traditionally the parent(s) who stands at the bema and imparts a “word of Torah”, a lesson or sermon that interprets a particular text from the Torah. 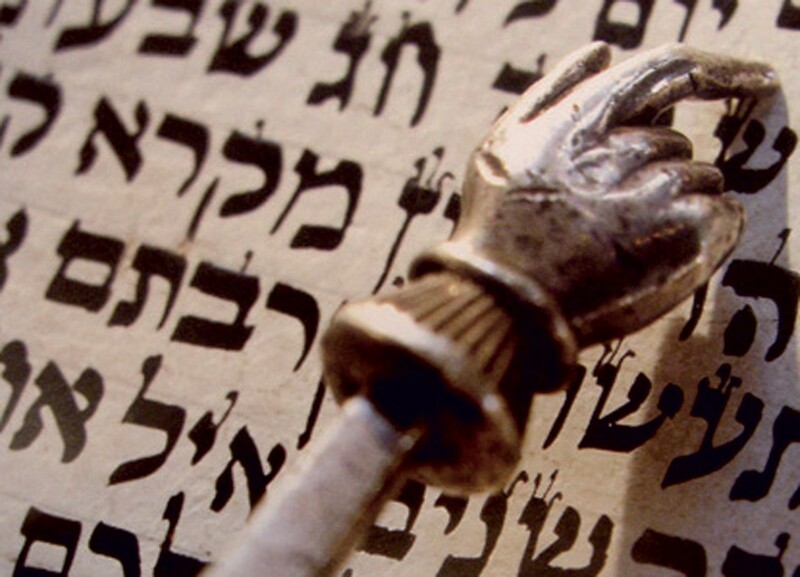 Relative to the boy’s bar mitzvah, it is common for the Dvar Torah to focus on that week’s Torah portion. Being a single parent to Davi and his brother, it was pretty much a given that I would be doing the deed, and I wanted to make the absolute most of it. The italicized text is the actual Dvar Torah that I had prepared for the occasion, in its verbatim which is weaved in with the added introductory, clarifying, and concluding texts below. With a rough draft in hand, I recruited the rabbi for his perspective. He rather wisely surmised my restraint, steeped in my fears of stoking my own ego as an often embattled parent, and subsequently losing out on fostering a connection between the respect for authority and its relevance in both my sons’ lives. The rabbi essentially gave me permission to let loose a bit, and not be so afraid to get more into the heart of the matter. I came away feeling that it was okay to open up more frankly about the often too emotionally heavy-handed task of exercising one’s parental authority. This is especially so for adoptive parent(s) of older children, who take over in the raising of those who had started out in life with less than favorable influences. Their very best of intentions can abruptly be derailed by the kind of mistrust in persons of authority that is deeply ingrained, and not easily resolved. Feeling a challenge being thrown my way, I began to think more deeply for myself, and took a look out there at the fuss we parents tend to (and still should) make about respecting authority, and its place in raising our children. I saw how the parent-child relationship teaches us about our relationship with G-d, who essentially gives us this earthly parallel relationship that enables us to learn about who He is, how He relates to us, and how we relate to Him. At this too early point in my delivery of the Dvar Torah, I felt myself inexplicably becoming emotionally overwhelmed. I had to stop, having become too choked up to continue. When I felt that I had gained back enough of my composure I started up again, yet it turned out to be a false start. I barely made it past three more words before having to stop again. I even tried sputtering out a joke to the congregation, in how I didn’t “know what’s wrong with me.” And, that I hadn’t “even gotten to the emotional part, yet!” Although mindful of my starting focus on the ultimate higher authority Himself, I was pretty sure it wasn’t because I was experiencing some kind of a powerful spiritual connection with G-d that moment. Still unsure as to what was happening with me, I felt I had pulled enough of myself together to plod along, yet I still didn’t get very far. Our Sages say that when children honor their parents it is considered as if they honor G-d Himself (Talmud, Kiddushin 30 b). As we learn, over time to revere G-d’s authority, and look to Him for guidance and safety, children first learn from their parents what it means to depend on someone’s love and protection, in spite of those annoying rules that are doled out for their eventual benefit. I had to stop again. I just couldn’t understand what it was that was getting to me. Being the consummate perfectionist when I write, with my need for just the right word that most clearly expresses my thoughts, ideas, and feelings, I had probably read through my Dvar Torah at least a hundred times in my writings. And, each time I had read it through, I never felt the slightest stirring of any sentiment. Subconsciously, up there at the bema I knew well the territory I was about to enter, where I had gone before too many times to count. But, doing so out there in public for all to hear and see, I felt especially vulnerable. Tears started to well up, and my voice cracked, at times it became muffled that made it hard for many to hear me. I felt insecure, not unlike so many of those times when I struggle to withstand the heat of yet another backlash of misguided hostility… all because of having to assert my authority, and discipline as it was warranted, or attempt to “teach” in a way that would continue to foster my sons’ emotional growth, and bonding with me as their father. Too often I feel that I have to be “strong”, and reflect outward the kind of inner strength readily translated as that someone with whom my sons are able to feel safe and secure. That wasn’t happening so fast up there on the bema. As I was connecting more directly with the hidden emotional agenda of my Dvar Torah, I was in danger of folding like a house of cards. Davi might even have sensed this, as he seemed ever so sensitive to and touched by my genuineness in emotional expression. I spotted a speckle of tears in his eyes as he placed a hand on my arm, and in his offering of strength said, “You got this, father.” I took a deep breath, and carried on. Children also first learn from their parents about love and compassion, and how it is unconditional no matter the context. Their parents love them no matter what, even when their children have made them so angry that it threatens the abandonment of logic and reason, even when their children made them feel as though they don’t deserve to share the same breathing space, even when there is in your face mistreatment, or disrespect, even when there are hurt feelings inside… their parents still love. But, it is not only children who need authority. We all do. We all need to feel that the right people are in charge so that we feel safe and secure, and that there is order in our life. And yet, when we believe that we can’t trust the people in charge, we become anxious, fearful even, in a world where there is no authority to respect or trust, and that our best interests are not kept at heart. From the start, I had wanted to be the type of parent whose authority deserves respect and is listened to. Yes, I know… I have teenagers in my charge. I’ve learned the hard way to take what I can get! I know I am far from the perfect parent, but I work hard to provide the kind of loving care that is buffered by clear limits and fair consequences in order for which to grow from, and which honor and integrity prevail. As I have always stressed, parenting is not for the faint of heart, as we are continuously pushed out of our personal comfort zones. As such, we are constantly being challenged and made uncomfortable in ways that are unimaginable. It especially can be exceedingly challenging to find the merit in the task of parenting when our own sense of balance and strength indefensibly feels under attack. Yet, if we are able to retain some semblance of our mature adult selves, parenting also can be the most profoundly meaningful endeavor of our lives. Davi, I look at you today with a great deal of pride and joy in my heart as you stand on the threshold of becoming that kind of young man. From the start, you bowled me over with not just the brilliant sparkle of your intellect and humor, but how you can carry yourself with the kind of wisdom few adults are able to attain after a lifetime. I have learned more than a thing or two from you over the past four years, where I have often found myself justly, if not also humbled by the sharpness of your insight and warmth of your affection on more than one occasion. So why might I come down on you a little harder than maybe you think I should… well, humility takes practice, so what kind of loving father would I be if I didn’t knock you down a few pegs now and then? It is to remind you that there always is a higher authority, and that we must be mindful and respectful of His presence. But also, and just as worthy is the importance of being true to oneself as you forge ahead in life, being mindful of one’s need to maintain a humble sense of oneself, that one is not necessarily right all the time, and that one should always hold himself accountable because that is what makes him honorable, and trustworthy. I truly believe that asserting one’s parental authority has nothing to do with perfection, or even control for that matter. That isn’t even a goal for me, nor do I expect perfection from you or your brother. Rather, I am most content when we learn together to respect each other and live well in an imperfect world, loving each other despite or even because of our imperfections. Especially then, at the end of the day, I find myself not asking if I had done everything right, but what I had learned and how well I had loved. I also hope that even at times when feeling as though it might have gotten lost in the translation, at the end of the day, you come away feeling just how much I very deeply love you, and your brother, how I am grateful for every day we have with each other, and how I wake up every morning looking to make each day we are together count. As they say, “there wasn’t a dry eye in the house.” I had succeeded beyond what I initially thought I had intended to achieve. I realize that at the end f the day, parenting should be approached as a partnership rather than as an exercise in seeking to dominate and control, the very antithesis of raising children who learn to become accountable for themselves. As this holds special relevance for the single parent, I often find myself saying to my sons, “I can’t do it by myself. We need to work together as a team.” After all, each one of us wakes up every morning with hopes for how the day will transpire; each one of us holds a stake in the day’s outcome. So long as I carry out my parental authority as it is meant—to protect, nurture, and guide, my perspective remains lucid, and the better I am able to keep my emotions in check that best reflects my inner strength.